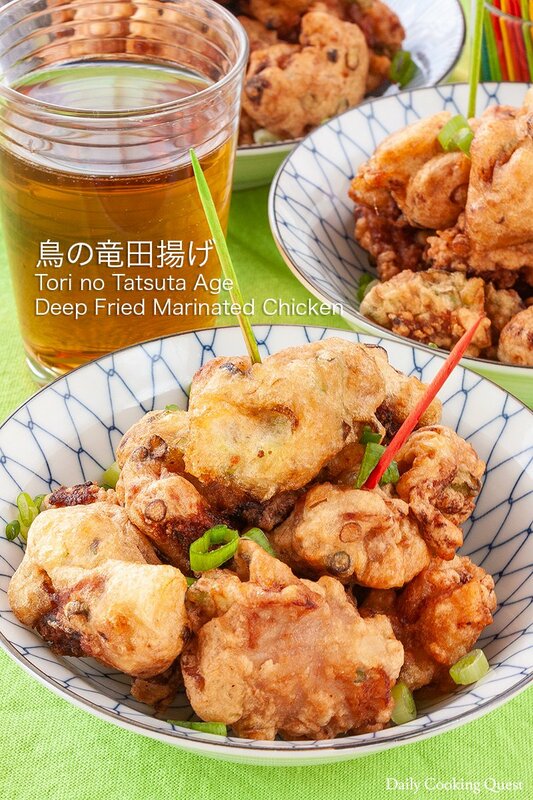 Tori no tatsuta age - deep fried marinated chicken to me is a very underrated Japanese fried chicken dish. At a glance it looks very similar to the more popular tori no karaage. Both are bite-sized fried chicken thigh, both are popular izakaya fare, but I think tori no tatsuta age wins in term of flavor. 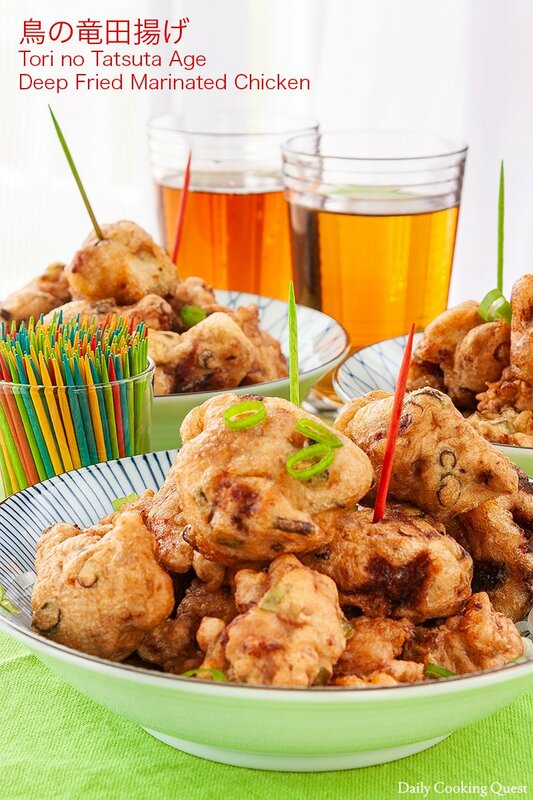 The main difference between tatsuta age and karaage lies in the marinating sauce. 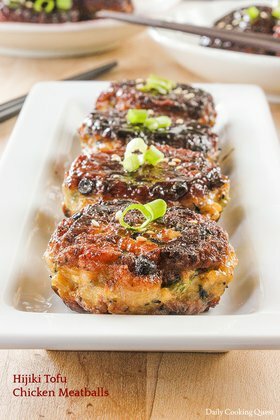 To make tatsuta age, you need to first marinade pieces of chicken thigh meat in soy sauce, mirin, sake, and ginger juice. Ginger juice is basically strained liquid of grated ginger, so you start by grating fresh ginger, and then strain to get the juice. A 30 minute marinate is typically enough, though it won’t hurt if you marinate for up to 2 hours. Once the chicken is properly marinated, pat them dry, and transfer into a ziplock bag. 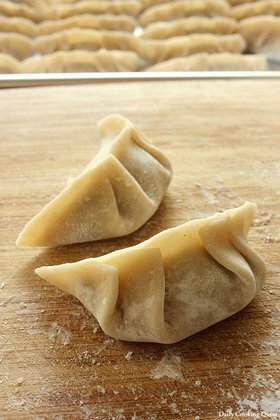 Into the bag, add about half a cup of katakuriko, which is potato starch. Most Asian markets stock this starch, but if that is a hassle, corn starch does a wonderful job as substitute. With the chicken and starch in the ziplock bag, give it a vigorous shake so every piece of chicken is coated with the starch. Once they are coated, it is close to ready for deep frying. I typically start heating my pot of oil while I make the batter. Whisk egg whites until foamy, then add even more katakuriko (or corn starch), thinly sliced scallions, and grated ginger. Mix well, and this is the batter for the chicken. Once the oil is hot (~ 170 Celsius / 340 Fahrenheit), coat the chicken pieces in the egg white batter, and fry in the hot oil until golden brown. 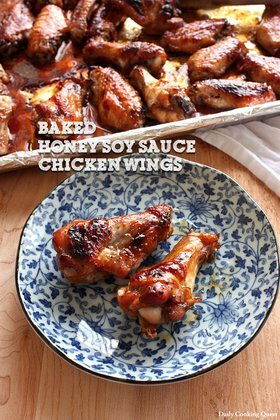 Marinate chicken thigh with soy sauce, mirin, sake, and 1 teaspoon of ginger juice. Set aside for 30 minutes, up to 2 hours. Pat dry the chicken and transfer to a zip lock bag, along with 1/2 cup of katakuriko. Shake vigorously to coat the chicken. 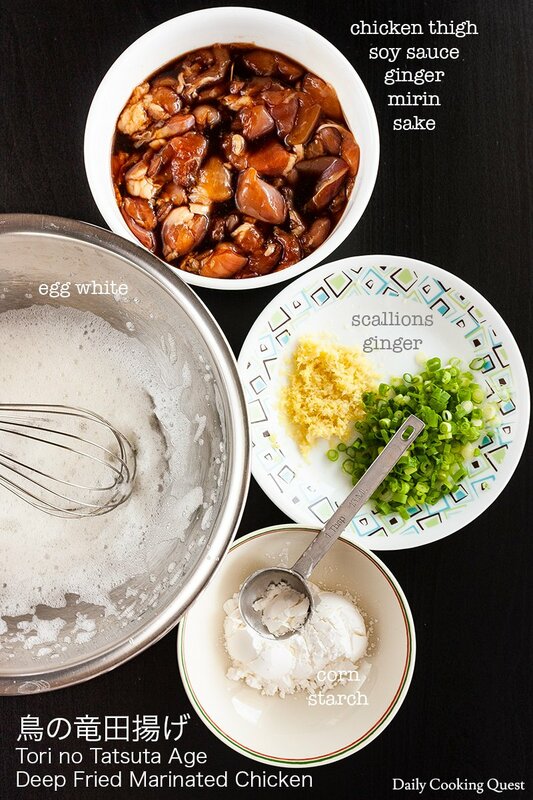 Heat a pot of oil for deep frying, and meanwhile, make the batter by whisking egg whites until frothy, then stir in katakuriko, scallions, ginger, and mix well. Once the oil is hot (~ 170 Celsius/340 Fahrenheit), coat the chicken pieces in the egg white batter, and fry until golden brown. Serve immediately. 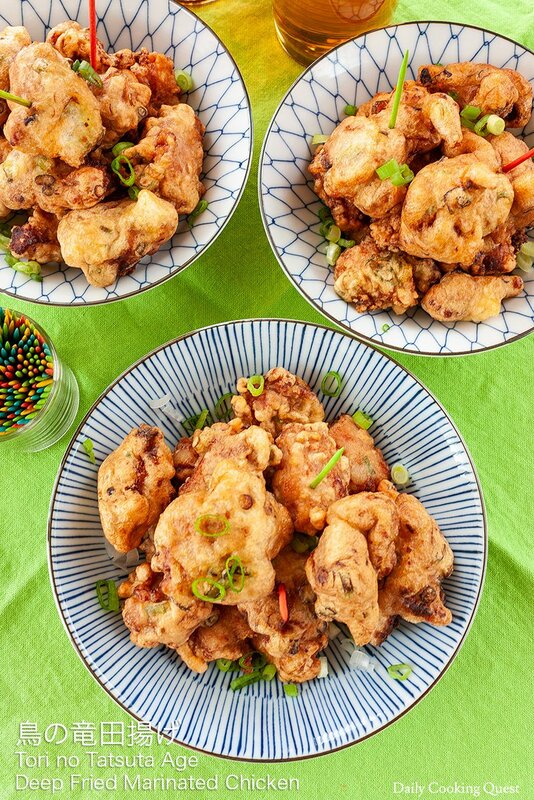 The best way is to open some cold beer (or hot sake) to savor the fried chicken. I like this! 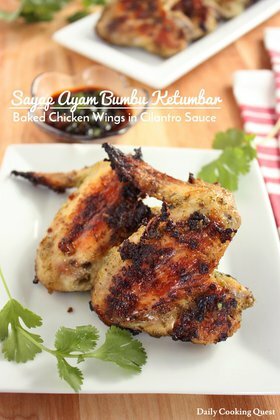 The taste is very good with the added ginger to marinate. Definitely a good snack for my family.